Leading Manufacturer of bottling line machine, automatic bottle conveyor, unscrambler machine for pet bottles, bottle orientor and unscrambler and bottle unscrambler from Ahmedabad. 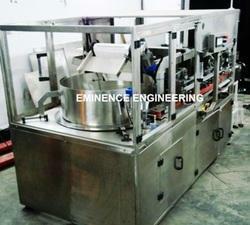 With the assistance of our team of professionals, we are offering Bottling Line Machine. 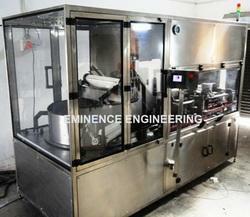 This machine is manufactured by utilizing the optimum quality raw material and leading technology. 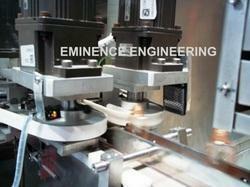 Our machine is extensively demanded in the market due to its performance. Offered machine is available from us in numerous stipulations to choose from. By keeping track with the market development, we are involved in offering Automatic Bottle Conveyor. Our offered bottle conveyors are designed using high grade raw material and leading technology in adherence with market norms. Our customers can avail these bottle conveyors from us in various customized options. Also, we offer our entire range of bottle conveyors in different specifications. Our company is engaged in manufacturing, exporting and supplying high quality range of Bottle Orientor. The offered bottle orientor is manufactured by our professionals in strict adherence to the market standards at our production unit. This bottle orientor is tested against every set parameter to make certain default free range. Offered bottle orientor is available in various specifications and can be customized as per with the customer’s needs. To meet the diversified requirements of clients, we are offering Bottle Unscrambler. 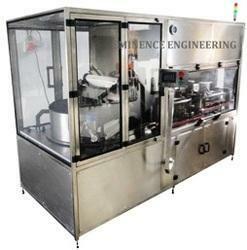 Our offered bottle unscrambler is designed by our workforce using latest technology as per the set industry norms. Also, we also provide our bottle unscrambler in customized solutions as per with customer’s requirements. This bottle unscrambler is available from us at market rates.